Mondesi's House: "Dana Holgorsen will not be the next head coach of Pitt"
"Dana Holgorsen will not be the next head coach of Pitt"
So what happened? He didn't like Pitt? Pitt didn't like him? He didn't like the city of Pittsburgh? Another school? Another school. And not just any school. West Virginia University. 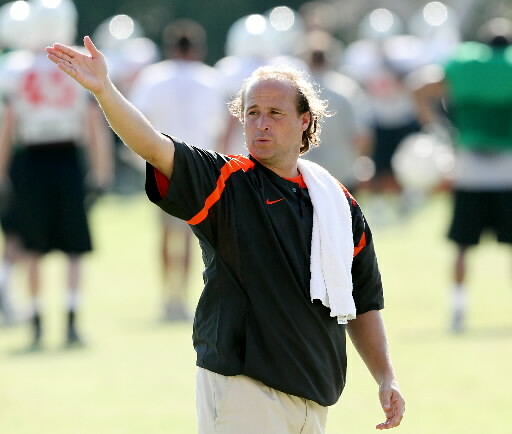 Sources confirmed today that a high-ranking official from West Virginia’s athletic department has been in contact with Oklahoma State offensive coordinator Dana Holgorsen about the head coaching position at West Virginia, even as there is no vacancy. 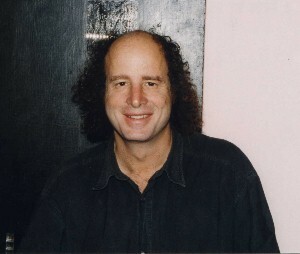 So it looks like we're right in the middle of a new kind of Backyard Brawl, one that centers around a bidding war for a highly-regarded Steven Wright lookalike. WVU has allegedly offered Holgorsen an Offensive Coordinator/Head Coach-in-Waiting deal, which is a not-so-subtle hint that they're not entirely pleased with Bill Stewart, who was "vehemently against" such a plan. You mean he doesn't want to mentor the higher-paid guy who he's never worked with before that's taking his job? I'm shocked. Here's an idea: maybe WVU could fire Stewart, pretend like he willingly resigned, hold an incredibly brief and awkward press conference, and then start their own coaching search instead of stealing Pitt's thunder (as well as their leading candidate)? This is Awesome. All Pitt fans ever say is 13-9, that is the only thing they have to hang there hat on in the Stache era. Then RichRod skips town and goes to Michigan. That game changed the WVU football program forever. Oh how the tables have turned. We are going to steal your top candidate and one of the brightest offensive minds in college football. Wait till Holgersen steps into Morgantown and dominates the Big East. All Pitt fans will have so much hate and then envy for what could have been. You're a little too excited about possibly, maybe getting a coach who is the offensive coordinator for a team that never even made it to a conference championship and has never been known as a recruiter. Both teams could do better. "I was flat out told - he won't be considered. Period. It wasn't he pulled out, it wasn't the school pulled out, it was that he won't be considered and wasn't at the top of the list to begin with." Not sure how it will play out, but it's been less than a week. Not really in panic mode like the dorks on rivals. Second, "13-9" isn't mentioned as an accomplishment by Pitt. Rather, it's mentioned because it's the only chance WVU fans had to play for the National Championship in their lifetime. I personally still don't know if enjoyed walking out of Morganhole watching grown men cry or was disturbed by it. Hey, at least you are trying to spin it. Well done! Everyone of my friends that is a Pitt fan talks about that game as a huge accomplishment. Which is fine I will probably never live down that loss. But we still have 2 BCS bowl wins and a final 4 so I cant complain. Looks like this rumor may have legs. If your 'Pitt friends' talk about that as an accomplishment, that's hard for me to buy. That was a 4-7team playing a four touchdown favorite on their field for the right to go to the title game. You probably are the last one in on the joke. Enjoy the BCS wins though. In retrospect, "13-9" was one of the worst things that could have happened to the Big East as a conference. Getting a national champion would have done wonders for everyone involved. Instead it sent one program into the dumps (for a brief period) and never really launched the other one. I understand your point Eric and think it has some merit. That said, do you expect a team to win a national title when they couldn't beat Pitt with no passing game and everyone knowing Shady was getting the ball? If they eeked it out, they probably would have looked like Cincinnati last year in the BCS and embarrassed the conference even more. Baba: Not salty, I'm a warrior brah. By the way, looks like DH will come on board next year at WVU and take over for Stewart in 2011. He certainly looks like a West Virginia coach. yea looks like a coach who will dominate Pitt for years to come. Yes that's exactly what I was thinking, no doubt. There's no way Stewart actually ends up coaching through this year, right? Burgh, just having some fun on a boring day.. Anyway, who are some realistic candidates for the Pitt job now? And is Wanny definitley taking the AD position? They are putting Wanny in some type of 'special assistant' role to basically save face for both the university and loyalty out of Wanny's history with Pitt. It's similar to what Pitt did with Johnny Majors when Walt Harris was hired. In all honesty, I don't know who is realistic at this point, and not sure what is real and pieced together through the media. I heard Ziese say that Pitt may be limiting themselves based on budget. As someone that has donated (though not at a huge level) and seen the numbers I would be pissed if that is the case. If they want a guy and won't pay him because they are saddled with Wanny's salary, then they should never have moved him. If they don't even give a guy like Tom Bradley an interview (because indications are he would be interested) then it's the 'same old boys' that can't get past having a PSU guy considered, I would be pissed as well. That said, I have to think that standard would have been applied to Golden, who they were interested in before going to Miami. So I think nobody outside of the inner circle really knows anything, and willing to let it play out. "I understand your point Eric and think it has some merit. That said, do you expect a team to win a national title when they couldn't beat Pitt with no passing game and everyone knowing Shady was getting the ball?" Hard to say, that's kind of my point. There's no way of ever knowing. Getting beat bad in a national title game isn't the same as getting beat bad in the Big East Consolation Bowl. There would have been at least some hype. Who knows? It's fun to look back at turning points like that and think about what might have happened.